Parmigiani Fleurier’s story, like so many others, starts with a predicament. The year is 1974, Michel Parmigiani is freshly graduated and he is faced with the unprecedented tumble of the Swiss watchmaking trade, due to the flood of quartz movements ignited in Japan. Much more precise and infinitely less expensive, this revolution of a watch catches the traditional Swiss industry unaware, and makes it look outdated, obsolete. In a short decade, what is later referred to as the “quartz crisis” cuts down 90,000 jobs and the whole trade is set adrift. Amid this apocalyptic picture, Michel Parmigiani opens his own workshop in Couvet in 1976 and starts resolutely down the path of traditional watchmaking, like an outcast, against the advice of many. 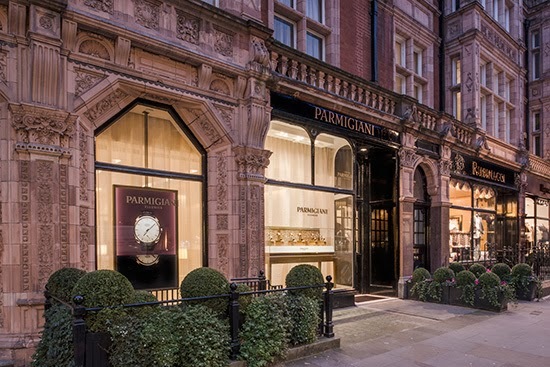 From that point onwards, Michel Parmigiani’s approach is set and it bases itself on the single belief that to part with the traditional art of watchmaking could only be harmful and would only breed destruction. Becoming a young entrepreneur, Michel dedicates himself resolutely to his greatest passion, Restoration. On a side line, he also manufactures unique pieces for collectors, giving a free rein to his mastery of mechanical complications. His company, Mesure et Art du Temps is a small workshop, but a thriving one too. The year 1980 will change it all. Michel Parmigiani makes the single business encounter that transforms the face of his career, the encounter which generated all that Parmigiani Fleurier is today: Michel met the Sandoz family. The Sandoz family is heir to the Sandoz pharmaceutical group known today as Novartis, and holder of one of the most impressive collections of pocket watches and automatons in Switzerland – the Collection Edouard Marcel Sandoz. At that time, Effrène Jobin, Curator of the Watchmaking Museum in Le Locle, is in charge of restoring these amazing artefacts, and looking for a successor in preparation for his retirement. That’s how he introduces Michel Parmigiani to the family and convinces them to trust him with their collection. Over the years, they discover Michel’s unrivalled talent as a watchmaker; they appreciate the man and his knowledge of our past heritage. Pierre Landolt, a family head, pushes him to step out from the secluded space of his little workshop and start something bigger in watchmaking: to create his own brand and realize his aspirations as a watchmaker to the fullest. In 1996, the Parmigiani Fleurier brand is born. The production units which are gathered today under the “Manufactures Horlogères de la Fondation”, i.e. the Watchmaking Manufactures of the Sandoz Foundation, were put together in less than 4 years. They are the embodiment of the trust that prevailed between a family with a vision and a watchmaker with a talent. Thanks to this unique industrial structure, Parmigiani Fleurier has come to hold a high level of credibility in just a few years. Six collections, twenty seven calibres developed in-house, including four world firsts – this is as much as some brands could achieve in centuries. Whatever the projects and achievements, Parmigiani Fleurier never loses track of how it came to life. The brand stays true to its founding values, namely the restoration of artefacts of the past and the ability to draw knowledge from this heritage to create the mechanical constructions of the present. Parmigiani Fleurier sees itself as unconditionally linked to the legacy of its ancestors, never the owners but the revealing agents of the treasures of the past – however firmly anchored in this present. Parmigiani Fleurier's identity is inextricably linked with the Swiss Haute Horlogerie tradition, yet it now goes beyond this, representing an economic and industrial powerhouse in the Val-de-Travers region which has succeeded in breathing new life into age-old watchmaking skills. 1976. 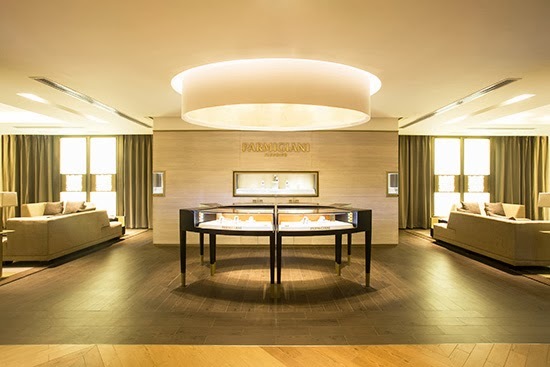 Michel Parmigiani chooses Val-de-Travers (Couvet then Fleurier) as the location of his first workshop. 1996. The Sandoz Family Foundation decides to assist Michel Parmigiani in creating the Parmigiani Fleurier brand. 600. The number of staff employed by the brand and the industrial centre (MHF: the foundation watchmaking manufactures) combined. 50. The number of disciplines ensuring the preservation of Haute Horlogerie expertise at Parmigiani and MHF. 6,000. The number of Parmigiani Fleurier watches produced each year. 300. The number of brand outlets. 60. The number of countries in which Parmigiani Fleurier has a presence. 6. The number of production sites (Atokalpa, Elwin, Vaucher Manufacture, Quadrance & Habillage, les Artisans Boîtiers, Parmigiani Fleurier workshops). 40,000. The number of square metres acquired by the Sandoz Family Foundation in Fleurier to extend the production site. 6,700. The number of square metres covered by the production site and the Fleurier manufacture (VMF). 1,700. The number of square metres covered by the new Elwin production site, the first MINERGIE registered industrial building in the Bern Jura region, designed to house around fifty turning machines. 1,300. The number of square metres of the production site acquired for Les Artisans Boîtiers and Quadrance & Habillage, in La Chaux-de-Fonds. 7. The number of men's and women's collections currently ensuring the brand's success: Kalpa, Tonda, Bugatti, Pershing, Transforma, Ovale, Toric. 21. The number of movements designed and produced entirely in-house at the manufacture to equip Parmigiani's current models.